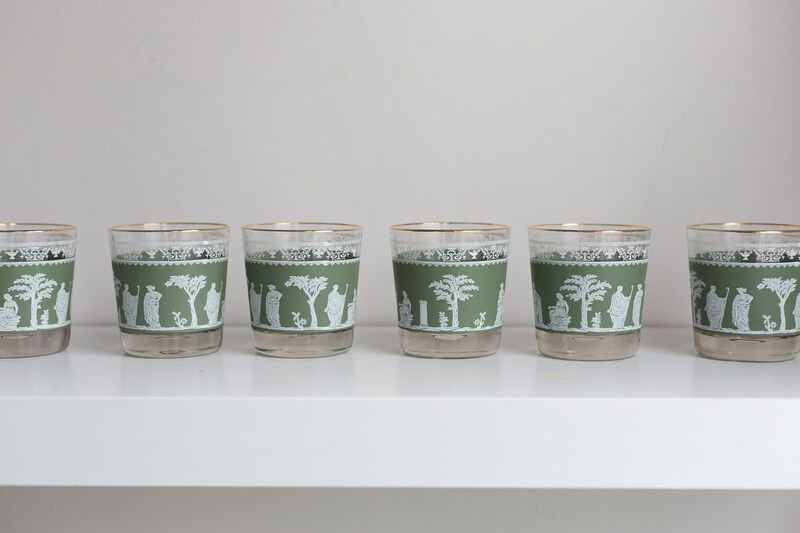 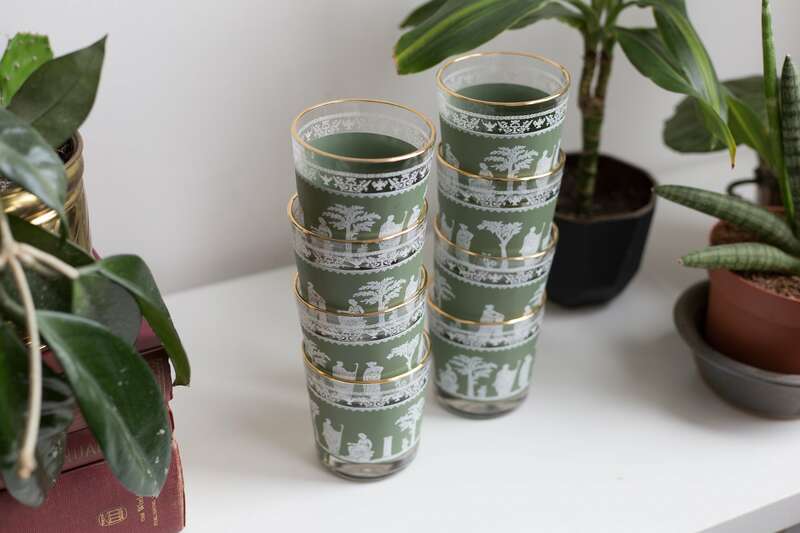 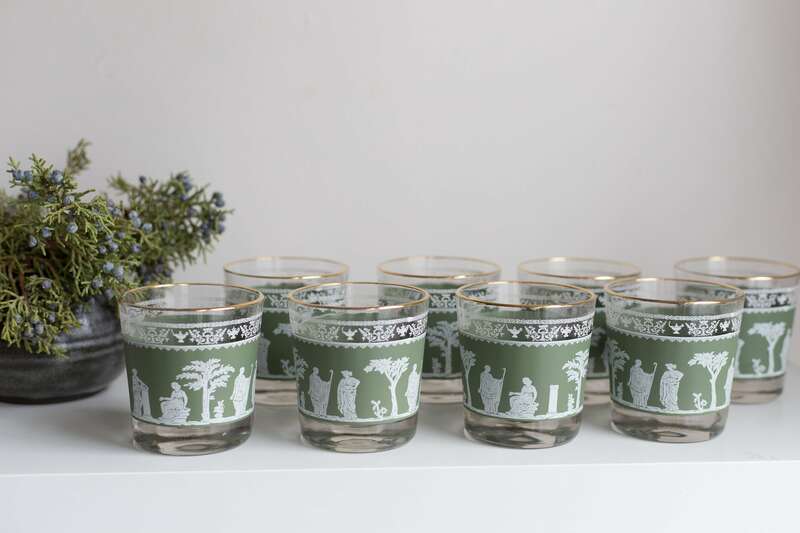 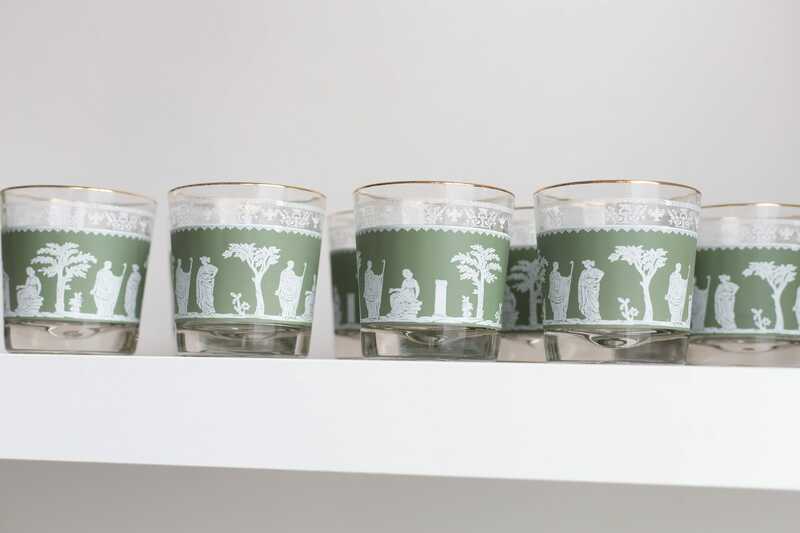 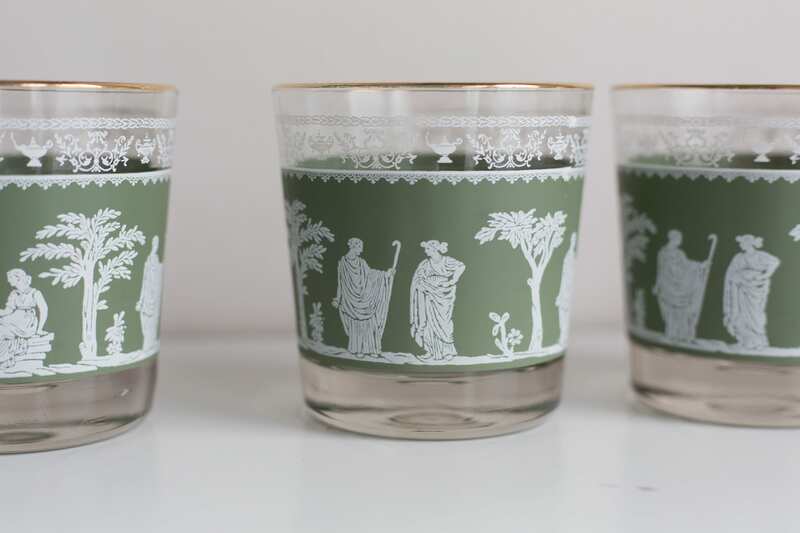 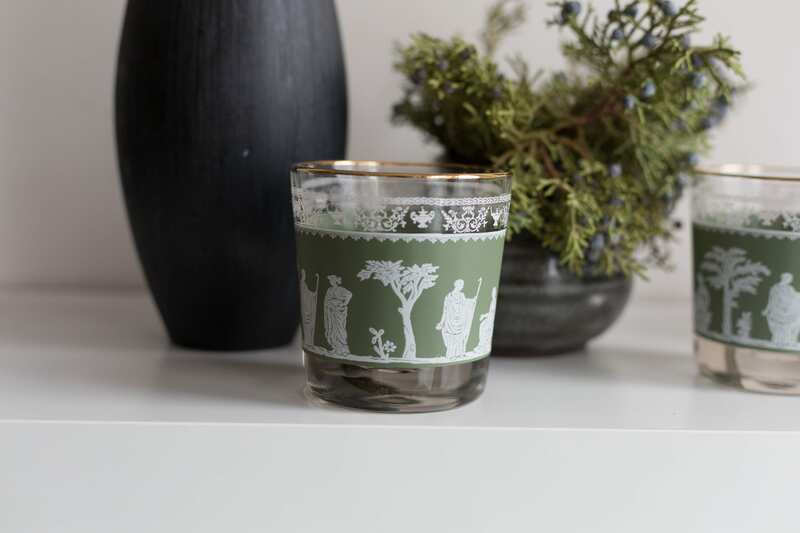 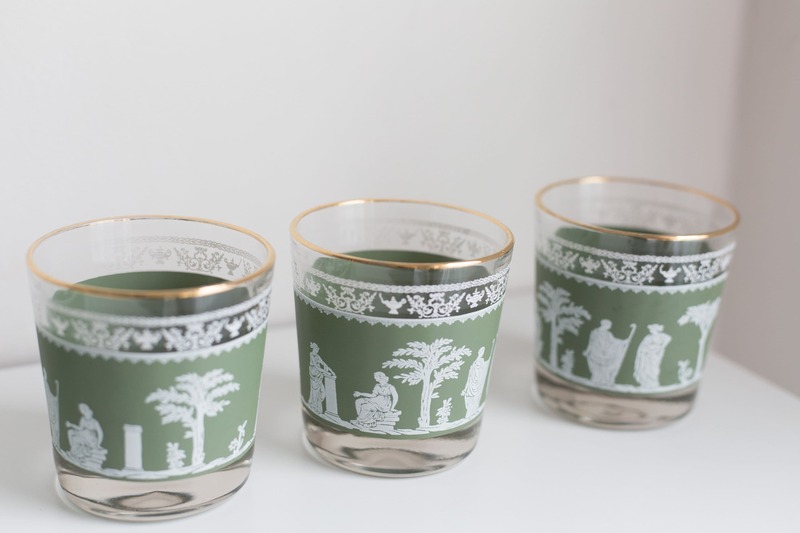 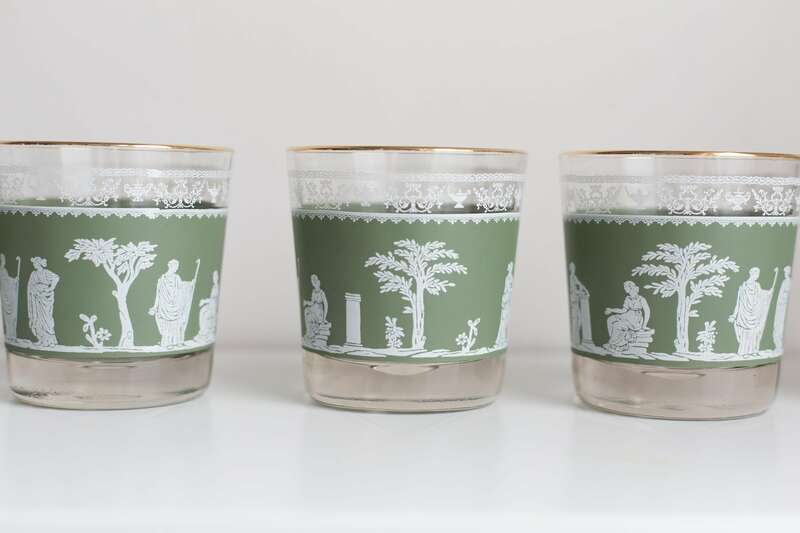 This is a fantastic set of 8 vintage lowball tumbler cocktail glasses with gold rims and a green wedgwood style roman/Greek motif on each. 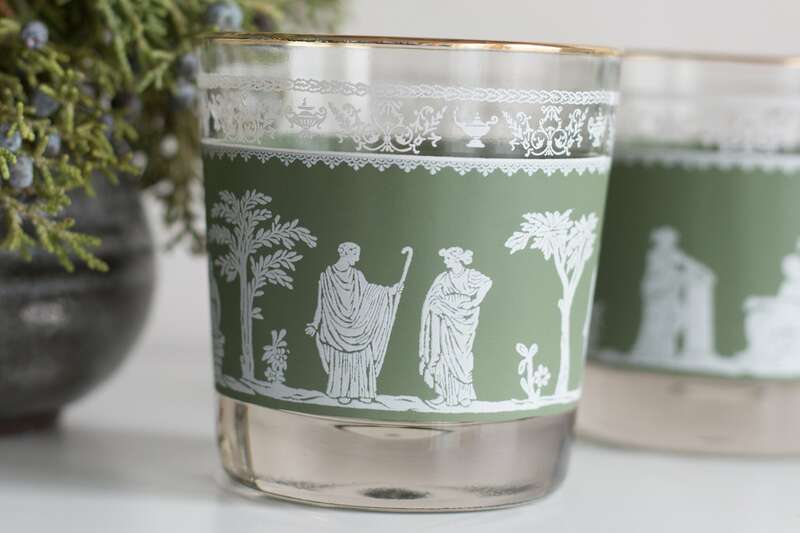 By the Jeannette Hellenic glass company. 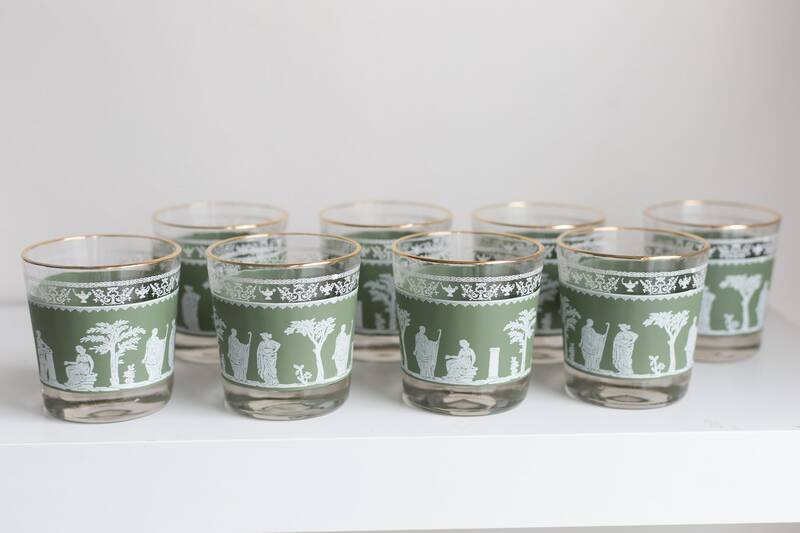 The price is for the set of 8.